It’s a story that is nearly as old as humankind has existed in God’s creation. Or at least since the 3rd or 4th chapter of Genesis. It’s a story repeated on every elementary school playground, every day in our country – and in every language and other country of the world that has school playgrounds or places where people live in community. ndmother’s blush. Somebody gets hurt. Somebody else gets hurt worse. And tomorrow this cycle of hurt starts all over again. You’ve heard that story before, right? A story of escalating pettiness, judgement, hate, and pain. A story that is not about fictional characters like Billy and Joey, but maybe about a husband named Steve and a wife named Jackie. Or a business that we know as Target and another as Walmart. Or an addicted parent named Amy and her daughter Madison who is stuck in the middle. Or republicans and democrats and independents. Or someone name Jim and another man name Ron who lives on an Indian reservation near Jim’s town. The 5th, 6th, and 7th chapters of the gospel of Saint Matthew are known as the Sermon on the Mount. The words from Jesus contained in these 3 chapters of Holy Scripture may be the most profound, intense, and often avoided words in all of scripture. And here’s why I think that’s true. 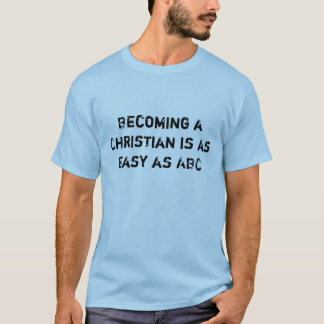 Becoming a Christian is one of the easiest things that a human being can do. 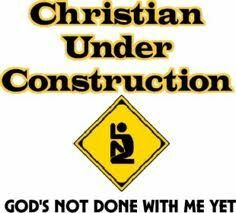 And saying that you are a Christian to someone else is just as easy. It’s much harder, if not impossible, to actually be a Christian. And that is most definitely true if we think of a Christian as someone who claims to follow the Jesus that we hear from in the Sermon on the Mount. I think I’ve come close to living like a Christian as Jesus calls us to live in today’s gospel reading, but most often I strike back instead of turning away. I tell and show my enemies just what I think of them – often in a very passive aggressive way – rather than reflecting God’s love shining through me. Jesus’ words in the Sermon on the Mount are striking and counter-cultural – in Jesus’ day and in February 2017. Pray for those you love and those whom you can’t stand the sight of. Jesus calls this new world the Kingdom of God – where violence doesn’t always breed more violence and hate doesn’t always kindle more hate. As Pastor Bob reminded us last week, this is hard stuff! But just because it’s hard doesn’t mean we shouldn’t try. And you know what, I have very little confidence that you and I are actually going to do any of this perfectly, but that’s not really the point. In 2006, Pastor Brian McLaren – one of my favorite Christian authors and theologians by the way – wrote a monumental book called The Secret Message of Jesus. The centerpiece of McLaren’s work in this book is the Sermon on the Mount. He offers a summary of Jesus’ message from the sermon in language that might help us better understand it within the context of our 21st century ears and experiences. So…if you can remember our worship life together over the last four weeks along this journey through the Sermon on the Mount, I hope Pastor McLaren’s words help you connect all of this together in a way that might be beneficial. Here we go…imagine that we are back at the beginning of the 5th chapter of Matthew’s gospel. “Be poor in spirit, mourn, be meek, hunger and thirst for true righteousness, be merciful, be pure in heart, be a peacemaker, be willing to joyfully suffer persecution and insult for doing what is right. Be salt and light in the world – by doing good works. Do not hate or indulge in anger, but instead seek to reconcile. Do not lust or be sexually unfaithful in your heart. Do not presume to make vows, but have simple speech, where yes means yes and no, no. Do not get revenge, but find creative and nonviolent ways to overcome evil done to you. Love your enemies, as God does, and be generous to everyone, as God is. Give to the poor, pray, and fast secretly. Don’t let greed cloud your outlook, but store up treasure in heaven through generosity. Don’t worry about your own daily needs, but instead trust yourself to God’s care, and seek God’s kingdom first and foremost. Don’t judge others, but instead first work on your own blindness. Go to God with all your needs, knowing that God is a caring Father. Brothers and sisters in Christ, here’s the point that I hope we can carry beyond this time of worship. As you return this week to your school playgrounds and business meetings and relationships with other people – both the healthy ones and the dysfunctional – I believe that we are being invited by Jesus to practice living like Jesus’ disciples and citizens of the kingdom of God right now, in the meantime. Blessings to each of you and the people blessed by you this week as you do just that. Amen. This entry was posted on Thursday, February 23rd, 2017 at 7:38 pm	and posted in Recent Sermons. You can follow any responses to this entry through the RSS 2.0 feed.